Welcome to another Justascrappin' weekly Challenge! 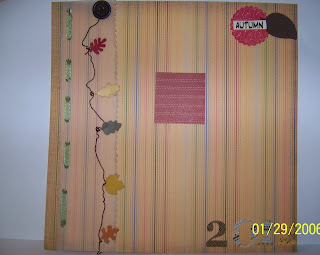 For the week of November 8, 2012 Lets paint the town with STRIPES make a card, layout or 3D project using stripes. 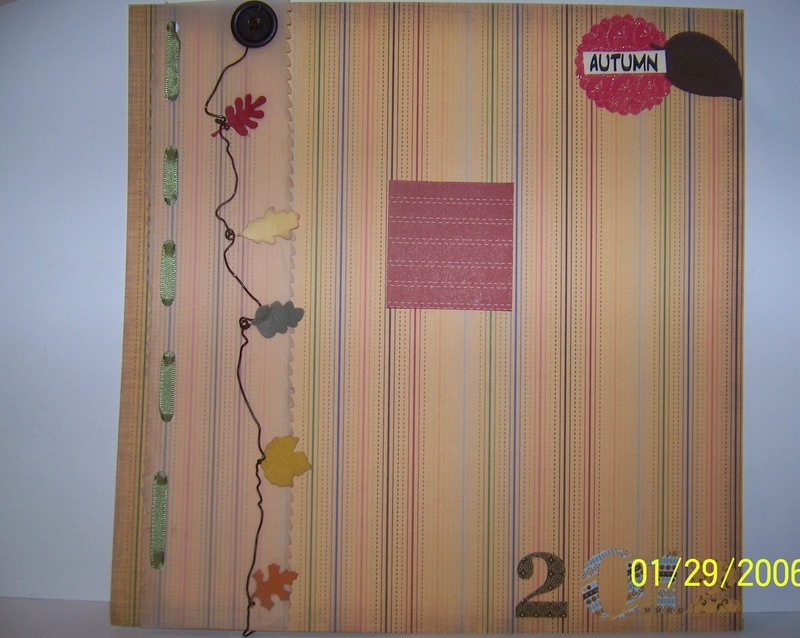 Use any theme but use Autumn Colors. I dug into my stash and found this striped paper, then went looking for something I have not used in a while here is what I ended up with. I cut a 3 x 12 inch strip of vellum, cut the edges a decorative edges and chocked them and the edges of the small leaves. Using Vellum adhesive glued the top 1/2 inch from the left edge. Next I took a brown wire and twisted about ever 4 to 5 inches using a pencil tip until it was as long as the page. Using a large Zot I adhered the brown button with wire to the vellum adding leaves with small Zots to the twist down the wire. Last using a large eyelet hole maker punch holes through both the vellum and paper about 1 inch apart and thread the ribbon then taped ends down on back. Sherry i loved your layout I thought the embllishments were so perfect after reading your post I thoguht using the twisted wire was great I would not have guessed that was how you did it.